The comeback of Robert Griffin III is complete: The quarterback will start the season with the Baltimore Ravens. OWINGS MILLS, Md. 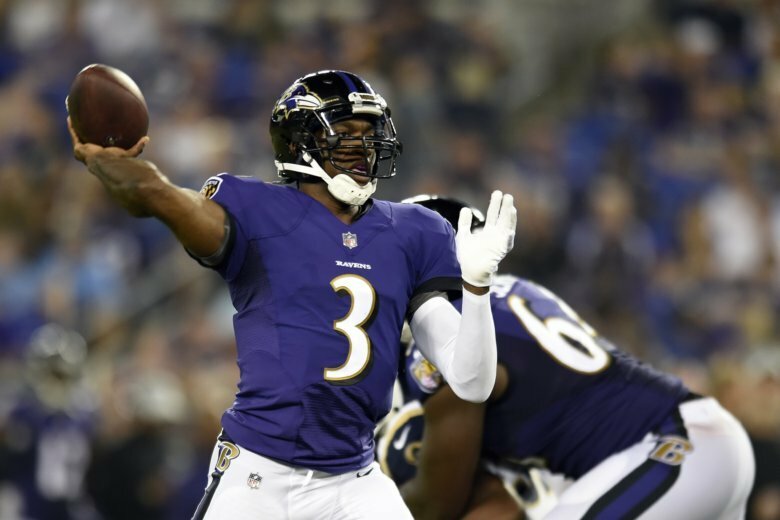 (AP) — The comeback of Robert Griffin III is complete: The quarterback will start the season with the Baltimore Ravens. Griffin survived Baltimore’s final cutdown Saturday and will join starter Joe Flacco and first-round pick Lamar Jackson on the depth chart. The Ravens have not carried three quarterbacks on their 53-man roster since 2009. Griffin signed a one-year deal with the Ravens in April after sitting out the entire 2017 season. The five-year veteran served as the primary backup behind Flacco, but did not play in the finale Thursday against the Redskins, leaving open whether he would make the team. Ravens coach John Harbaugh said Griffin’s status would depend on “the math,” which ultimately worked in the quarterback’s favor. The Ravens parted with receiver Breshad Perriman, the team’s first-round pick in 2015. He managed just 43 catches for 576 yards and three touchdowns over 27 career games. It marked the first time in franchise history the Ravens cut a first-round pick before the end of his rookie contract. Baltimore also waived tight end Darren Waller, who recently returned from a year-long suspension for violating the league’s policy on performance enhancers. Other notable cuts included offensive lineman Nico Siragusa, a fourth-round pick in 2017; linebacker Albert McClellan, an undrafted free agent who spent the past seven years with the team; defensive end Bronson Kaufusi, a third-round pick in 2016; and defensive tackle Carl Davis, a third-round selection in 2015 who started nine games last season. Also Saturday, the Ravens placed kicker Kaare Vedvik on the reserve/non-football injury list.